The One Show is not often a programme that breeds much opportunity for controversy. Aired early in the evening and viewed by millions, it’s a great example of quality, family-friendly TV. However, Tuesday night’s (2nd May) edition proved to be more controversial than usual – as viewers noticed something illegal going on in one of the segments. 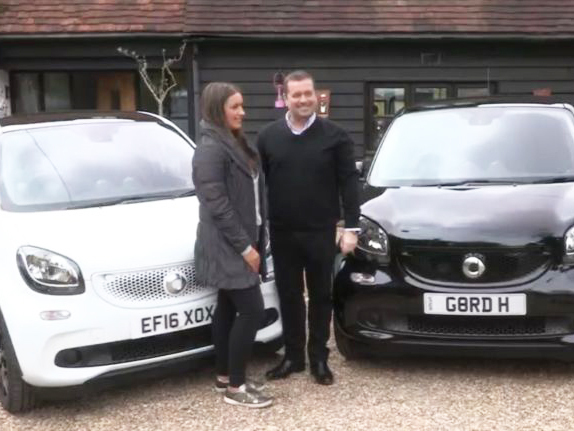 The topical magazine show featured a father and daughter who were to retake parts of their driving tests – hooked on the fact that there will soon be changes made to the exams. However, some viewers quickly pointed out that dad Gordon had a number plate on his car that didn’t fit the standard regulations for the DVLA. @BBCTheOneShow If that man took his driving test in that car, he should have failed at the start for having an illegal number plate. Good observations – and an awkward point to be made, especially when the segment’s about following the rules of the road! Phew! So it looks as if Gordon’s all in the clear.